How is it that a job that has been extremely stressful at times is causing such devastation? I was at an all day meeting Friday and spent half the day feeling like crying. I talked an employee from the school they are thinking of moving me to and it confirmed my feelings that it would not be the thing to do and still I feel this way. I spent the day before holding the hands of my student so his nurse could give him pain medication as he was screaming and crying in my ear. What a mess. I wish I knew what I was going to be doing this fall instead of all this uncertainty. I guess it feeds into my feeling I will end up as a bag lady somewhere 😦 Probably not but it seems that way now. It would help if I hadn’t had to move away from places, people and jobs in the past because of moves brought on by my husband’s job. I read about people working for a place for 10, 20 0r 30 years and that just hasn’t been what I have been able to do. I just start feeling comfortable and that opportunity is gone. 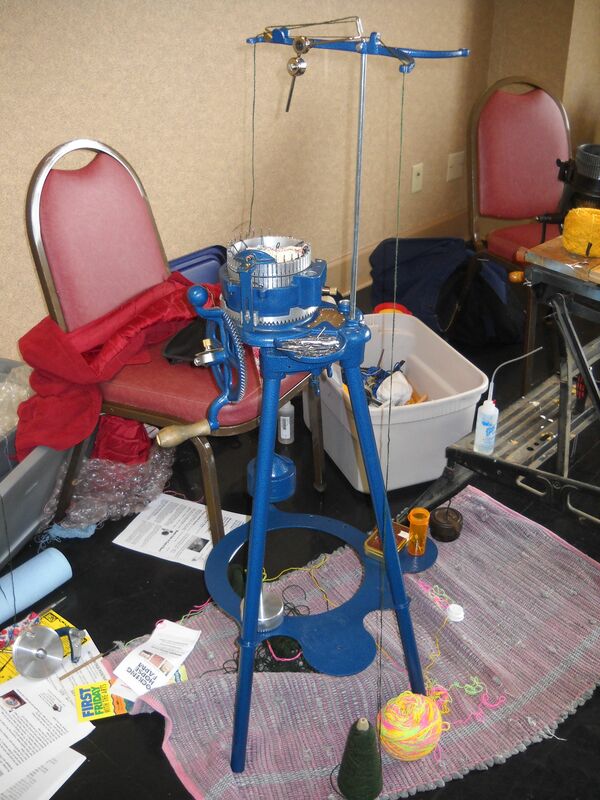 I was thinking I would get a chance to go rug hooking today but felt too exhausted to go. Just as well, as mid-afternoon, I remembered it is next Saturday. Anyway, I spent the day in the chair watching old movies. 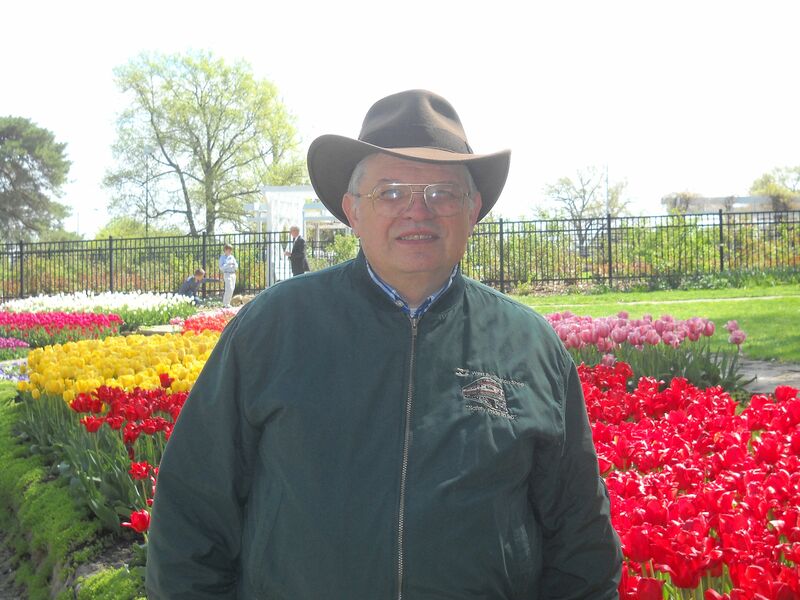 The last two Sunday’s after church, we went out to look at the tulips. The first week we went to Wamego. 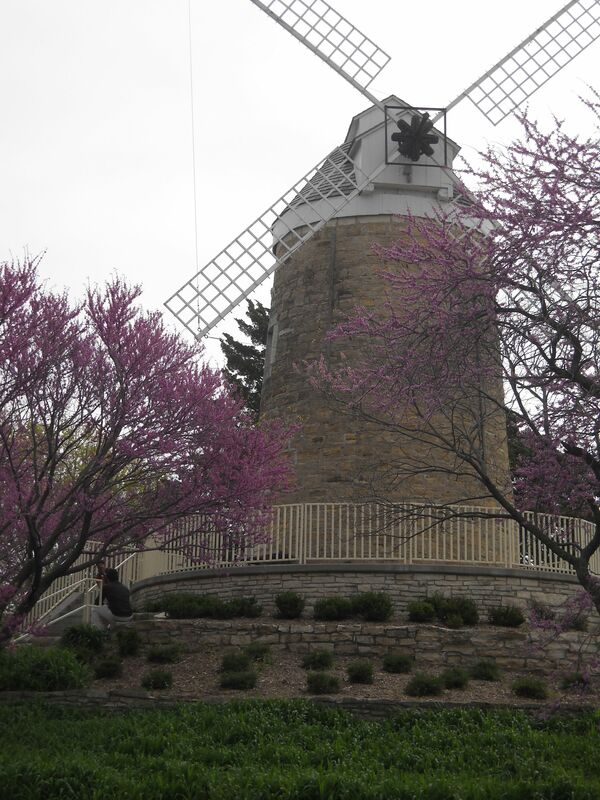 There is a beautiful windmill in the park. 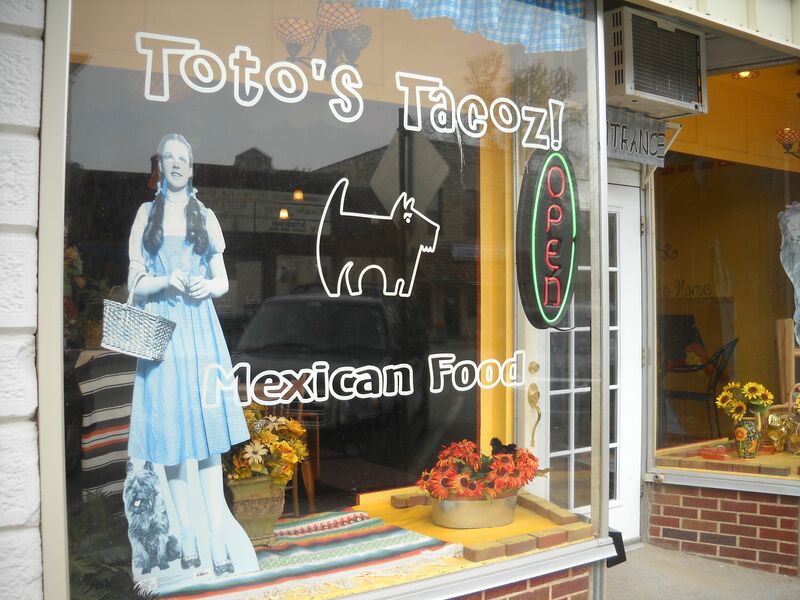 We ate at Toto’s Tacoz, which was a nice surprise. 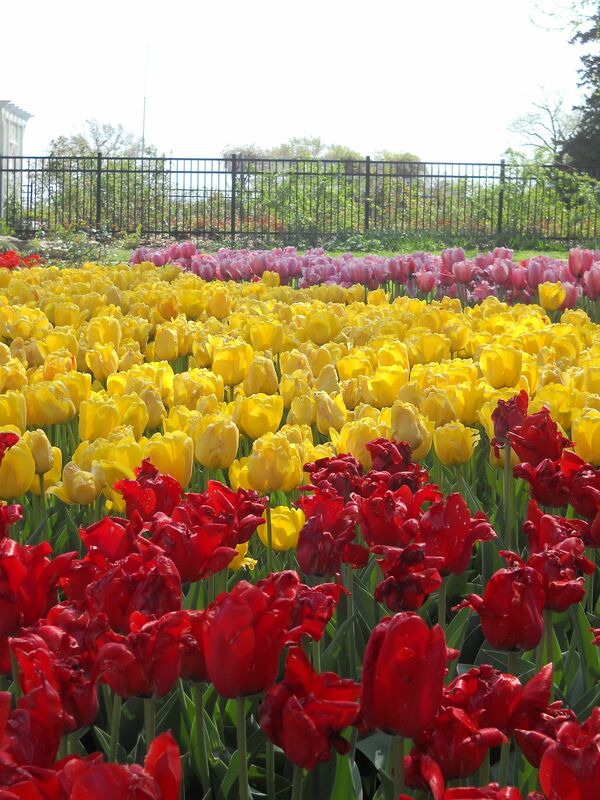 This Sunday we went to Gage Park. 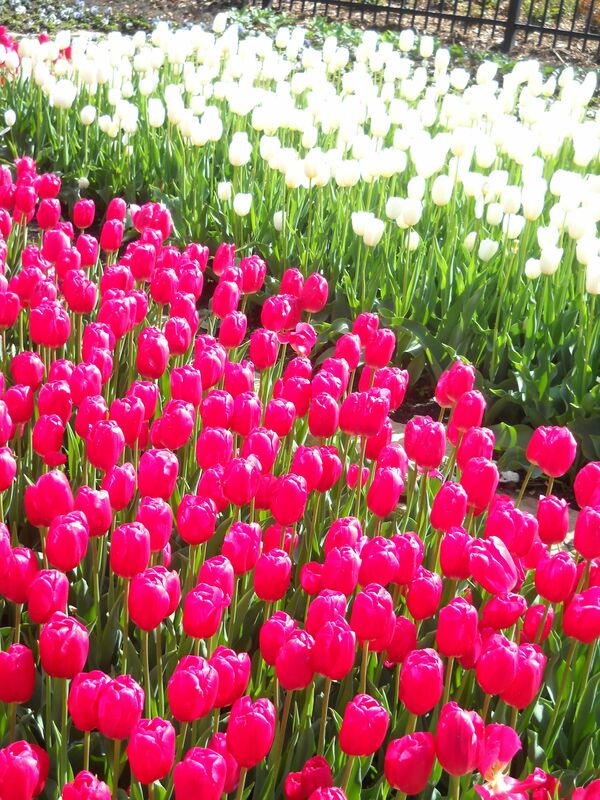 The tulips were starting to wane but still beautiful. We even saw several roses emerging from their winter’s retreat. For those people who believe I will never figure the sock machine out 🙂 I give this evidence. I chose to remove it from the machine so we could adjust the stitch length but am starting again and expect to have this reknit shortly…….. So, I went to a job fair on Wednesday night. I got there a little early and there were already 20 people in the waiting room. Some looked desperate, some looked devastated. Some had come hundreds of miles in search of a career. I think I did all right on the interview but I am not sure that is enough or that this is the right spot for me. I will work on more applications this weekend. I am thankful for the prayers that people are sending my way. 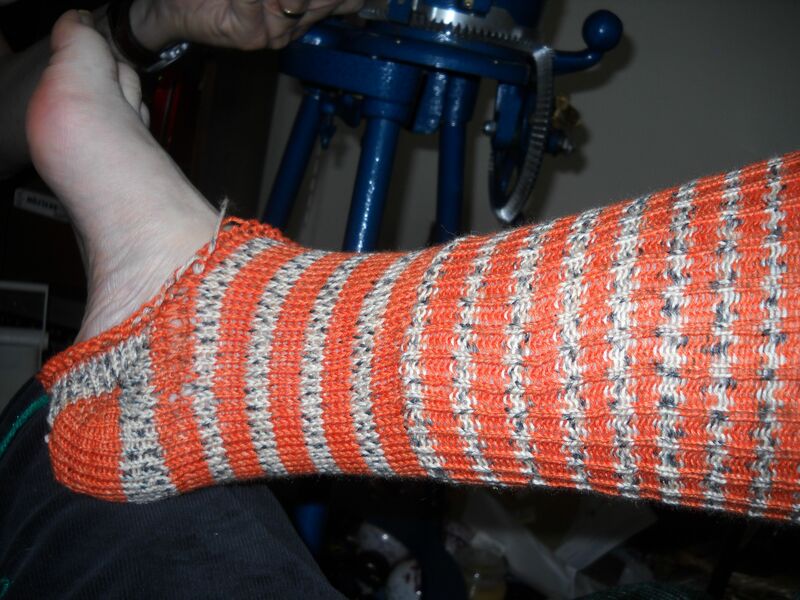 I have made some progress with my sock machine. The cuff is nicely ribbed and I am half done with the heel. Unfortunately, there is a jam up and I am not sure what the problem is. I hope it is just more operator error. There are not a lot of jobs listed at schools right now but I did see a job fair listed for Wednesday evening. It would be closer, only 20 miles one way. I am not sure I have everything together for this. I worked on the application last night. I called the State Department to find out where they had put my new license. (Turns out they managed to find the forms after I called and it will be here in 4-8 weeks. Good thing I applied for it in February.) I went in and got my hair done tonight. I am going to try to exude strength and competency. I wish I felt that way. I think I have my sock machine ready to start working. Hopefully I will be able to try making a pair this weekend. My floral rug is over 75% done now. Come summer time, I hope to make progress finishing these projects. Tuesday my bosses came in and said I still had a job but they were moving it to Onaga. I was stunned. I have until June 4th to let them know. It is just over 40 miles from my house. I would get to add all the extra miles on top of my 2000 car with the 154,000 miles on and probably take me an hour both ways because of the roads. One less special ed teacher in the school district I am currently working in because of money. I decided to take a couple of personal days from work. Just before I was to leave, I got a call from the secretary of the cooperative I work for, want to set up a meeting with the director and the assistant director. When I reminded them I was leaving, they rescheduled it for Tuesday. Will my job be eliminated? Will I be moved to another school? Will we have to call 911 again this next week? My job is so stressful sometimes. I hope God has something good in store for me. 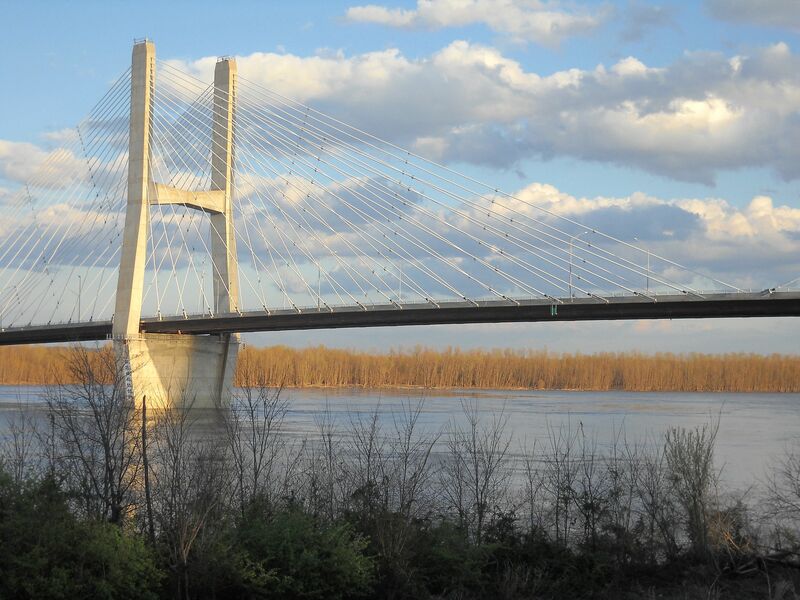 Jim and I went to Cape Girardeau for a crank in. 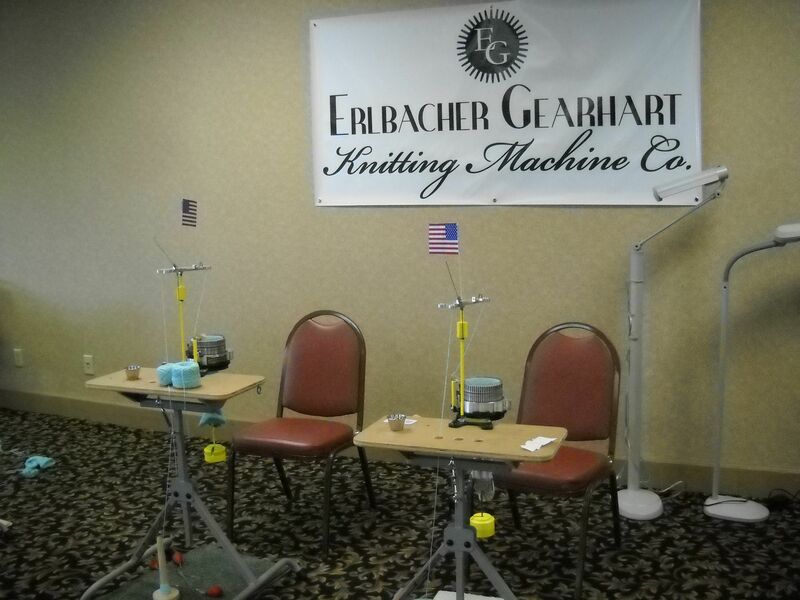 A family business there is re-engineering the Gearhart Sock Knitting Machine and we are going to look at it. I test drove one and it runs very smoothly. 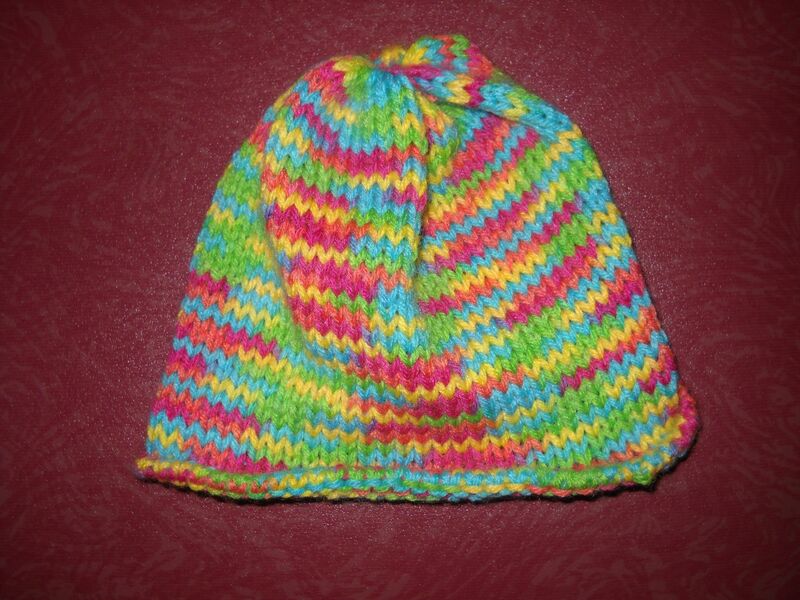 🙂 I haven’t knit a sock yet on mine but did knit a baby hat today and experimented with some lace knitting.